We should honour Jim Carrey, John Candy and Glass Tiger in Newmarket! Newmarket has many notable residents according to Wikipedia (http://en.wikipedia.org/wiki/Newmarket,_Ontario). We should pay tribute and celebrate our residents who make it big in entertainment, sports and business. Newmarket has several historical figures that had a major impact on our town. Many of our residents volunteered over the course of our lifetime and transformed our town over time. We should always honour and remember our veterans who served Canada! I want Newmarket residents to be proud of our town and celebrate the people who live here. A Newmarket "Walk of Fame" along Main Street near the Museum would be an idea worth considering by the Newmarket BIA and Newmarket Heritage Committees. 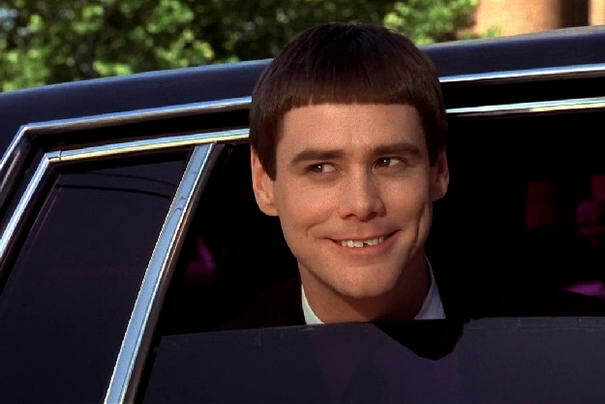 Jim Carrey was born in Newmarket, Ontario. He got his start in the GTA comedy scene. (http://www.cbc.ca/archives/categories/arts-entertainment/humour/general-7/introducing-funny-man-jim-carrey.html). Dumb and Dumber, Ace Ventura, Eternal Sunshine of the Spotless Mind, the Mask and Batman Returns are some of the movies he has played a lead role in. He was also on In Living Colour, Saturday Night Live, the Office and all late night talk shows. He has won many awards including MTV Awards and a Golden Globe Award for Best Actor - Motion Picture Musical or Comedy. He is an international star and likely the most famous person ever born in Newmarket. I would like to find an appropriate way to honour him in Newmarket. Perhaps naming the main theatre room at the Newmarket Theatre after Jim Carrey might be an appropriate way to recognize his Newmarket roots. I would also like to see a future park or street named after Jim Carrey or one of his movies. There might also be some potential for some public art related to Jim Carrey along our trail system. John Candy was born in Newmarket in 1950. He was a cast member on SCTV giving him North America wide popularity during his time on the Emmy award winning show. He also appeared on Saturday Night Live and starred in movies including: Volunteers; Planes, Trains and Automobiles; Brewster's Millions; The Great Outdoors; Armed and Dangerous; Who's Harry Crumb?, Summer Rental, and Uncle Buck. He also continued to provide memorable bit roles, including a "weird" disc jockey in the comic musical film Little Shop of Horrors and a policeman in the Sesame Street film Follow That Bird. In 1991 he was an owner of the Grey Cup Champion Toronto Argos with Wayne Gretzky and and Bruce McNall. He also got his start in the Toronto comedy scene. Newmarket must be a funny place with both Jim Carrey and John Candy born here. We should work with the private sector to promote comedy in Newmarket. 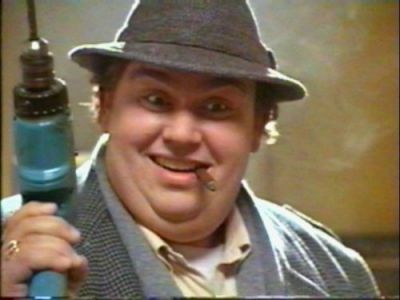 I would like to find an appropriate way to honour John Candy to pay tribute to his Newmarket roots in town. Perhaps naming the theatre within the renovated Newmarket Old Town Hall might be an appropriate way to pay tribute to his Newmarket roots. I would also like to see a future park or street named after John Candy or one of his movies. There might also be public art potential for John Candy as well. Glass Tiger is a band that got their start in Newmarket. Some of the band members still live in town today. The band produced several hit singles in Canada and placed two songs on Billboard magazine's top 10: "Don't Forget Me (When I'm Gone)" and "Someday". They won 3 Juno awards and were nominated for a Grammy. Glass Tiger has been very supportive of our community, Canadian Forces and first responders. I would like to see a "Glass Tiger" lounge at the Ray Twinney Complex were they have played several concerts. I also think we should consider naming a future street or park after Glass Tiger or one of their songs. I also believe there might be some public art potential for Glass Tiger along our trail or at the Ray Twinney Complex. If you drive around Newmarket, there is no shortage of streets, trails, parks, buildings and town assets named after politicians in town. In Newmarket, politicians past and present have also gotten more than their fair share of diamond jubilee awards, "character" awards, photo-ops and back slaps. I want to honour some other people in Newmarket for a change. If you have any ideas on how we can best honour Newmarket residents such as John Candy, Jim Carrey, Glass Tiger or any other famous or transformational Newmarket people please contact me at 905.716.9655, darrylwolk@Hotmail.com or on social media.